Over the last few years many of our clients have been asking to provide an easy online sales and delivery service for convenience. It took many months and an amazing team to develop this online service and delivery of Christmas trees throughout Melbourne. The entire team is local from Melbourne. Everything from design, delivery, marketing, maintenance is done in house. We are proud to say that we are Australian Owned and Grown! We provide a complete service to those in need. The farm has been established 30 years ago, in 1984 west of Melbourne. Over the many decades we have learned how to grow the best quality Christmas trees for everybody’s needs and make a home celebration welcoming with a fresh Christmas tree. 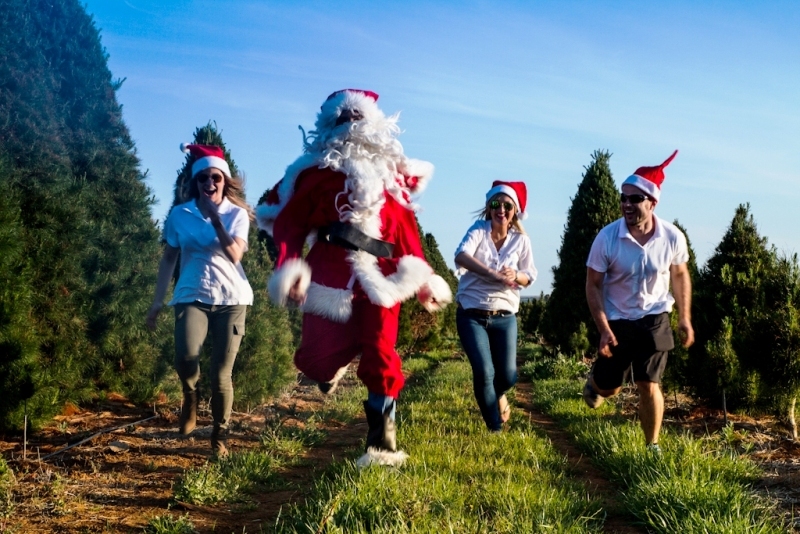 Having the largest Christmas tree farm in Melbourne Victoria, we are supplying thousands upon of thousands of Christmas trees throughout Melbourne and Australia wide. From Commercial places to peoples homes. Every year we replant and replace all our Christmas trees and look after the growth from seedlings. Our farm is eco friendly and we recycle everything that is possible making it clean and environmentally friendly farm. For every Christmas tree that is cut, we replace it with new seedlings for it to grow over the many years to make another Christmas celebration happy.